With a budget of EUR 16,000,000, this topic aims to set up an 'intermediary', which will establish and run a 'European City Facility' to support cities and municipalities (or their groupings) to develop investment concepts. Applicants should be an organisation or a consortium of organisations which has the skills and abilities to set up and operate a European City Facility. Once the intermediary (an organisation or a consortium of organisations) has been selected through topic H2020-LC-SC3-EE-17-2019 - European City Facility and has started being operational, cities and municipalities (or their groupings) interested in financial support and services to develop their investment concepts will be able to apply directly to the Facility via regular calls for proposals. The European City Facility should offer financial support to develop innovative investment concepts within a limited period of time, covering, inter-alia: a clear identification of the potential project pipeline, legal analysis, governance analysis, a description of how the investments will be financed and a design of the process to launch the investments. Proposals should foresee to provide support to third parties ('support scheme') as described in part K of the General Annexes of the Work Programme. At least 80% of the budget should directly benefit cities, municipalities or their groupings. 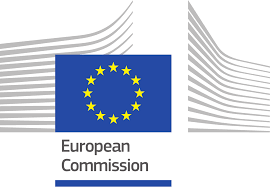 Proposers should demonstrate the ability to run a support scheme at large scale in accordance with Horizon 2020 standards and that they are able to select the most cost-efficient and appropriate city and community applications taking account, inter alia, the scale of the potential investment and the number of inhabitants covered. Proposers should be deeply rooted in the ecosystems of municipal sustainable energy planning and the challenge of finance of energy efficiency. Proposers should demonstrate that they are able to mobilise a critical mass of cities/municipalities or their groupings and have a sound and inclusive outreach strategy to cities and communities across Europe. Proposals should foresee services to underpin European added value and earmark appropriate resources (maximum 10% of the requested EU contribution) for common actions that will underpin European added value. In order to qualify for support through the European City Facility, cities and communities or their groupings should provide proof of political commitment, demonstrate, additionally to existing planning processes and resources, a minimum population covered (single or in groupings of municipalities) and an ambitious scale of potential investment and level of energy savings based on politically approved SEAPs, SECAPs (Sustainable Energy and Climate Action Plans) or plans of similar ambition, describe the investment sectors targeted, the type of financial solutions envisaged, the governance to develop the investment concept, and include a plan for long-term capacity building within the public administration, a plan on how they will engage with representatives of the key segments and citizens and a commitment for monitoring for 2 years. More information on the topic, expected impact as well as conditions and documents are available here.